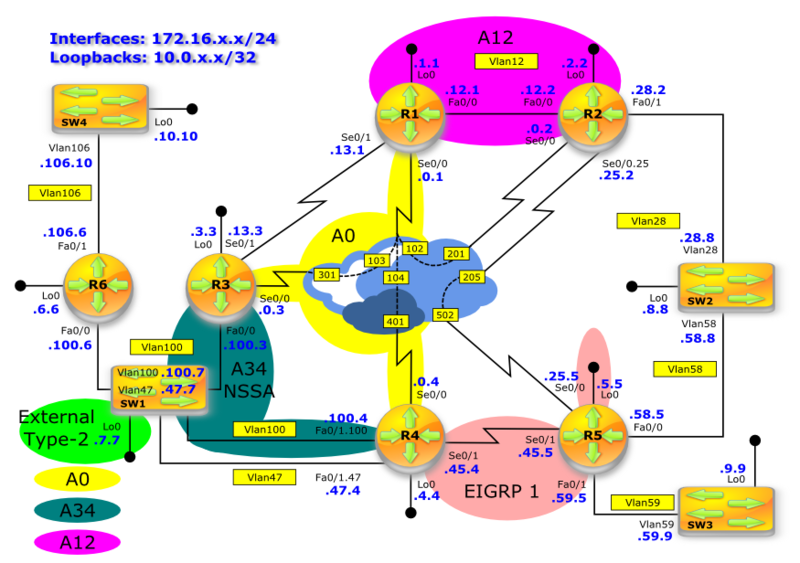 In order to use OSPF (re-written) labs, you must download the topology and initial configurations as per links below. In the task 3 of the previous lab you configured R3 as the gateway for all inter-area prefixes. Remove this configuration making area 34 NSSA with both R3 and R4 injecting N2 default route. Ensure that R3 is the LSA7-to-5 Translator. 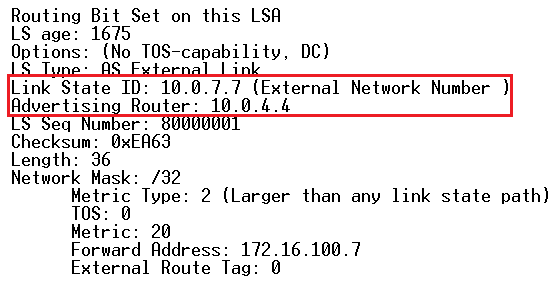 In case there are two or more ABRs connected to the NSSA area, which device translates LSA7 to LSA5 while injecting NSSA external routes into OSPF area 0? In the task 3 of the previous you configured R3 as the gateway for all inter-area prefixes. Remove this configuration making area 34 NSSA with both R3 and R4 injecting N2 default route. Both R3 and R4 have the same 'area 34 nssa default-information-originate' configured in the OSPF router. Pic. 2 - R3 and R4 Inject N2 Default Route. Pic. 3 - LSA7-to-LSA5 Current Translator (now change in the config). Pic. 4 - R3 Configuration. Pic. 5 - LSA7-to-LSA5 Current Translator. The router with the highest router-id becomes LSA7-to-LSA5 translator. Remove the OSPF configuration done in the previous labs and configure network as per topology diagram (top). Configure mutual redistribution between OSPF and EIGRP domain. Check OSPF routing table on SW1. Configure OSPF area 34 such that R3 becomes the gateway for all Inter-Area prefixes and R4 for all External prefixes. Should R3 go down, R4 should become the gateway of last resort for all prefixes. Do not modify the cost of any links to accomplish the task. When OSPF is presented with intra-area, external, nssa, inter-area prefixes, what is the order of choosing the best path? I do not show how to remove all previous OSPF configuration to reduce the length of the post. Pic. 2 - OSPF Routing Table on SW1. Pic. 3 - OSPF Routing Table on SW1 After the Reconfiguration. intra-area > inter-area > external > nssa-external. 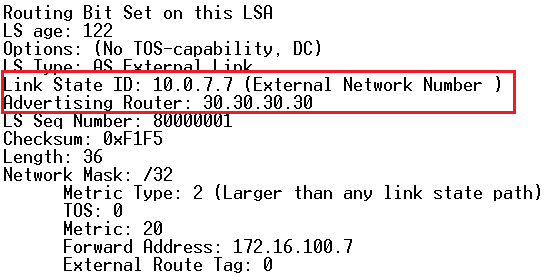 OSPF uses the following sequence to select the best path: intra-area > inter-area > external > nssa-external. Try to shutdown sub-interface f0/1.100. As soon as SW1 realizes that R3 injects N2 default routefor all unknown destinations. Pic. 4 - R4 F0/1.100 Shutdown.